Michael Caine, seen here holding a lesser prize. And so...I now present to you the Teddy Awards, honoring the very best moments in this past year of film that specifically catered to me and my strange whims. The "Ursula's Crazy Sister!" Award for Best Line of Exposition: Jiro Dreams of Sushi. "He knows everything about rice." This is the line that is spoken in order to introduce you to a man who knows everything about rice. The Balto Award for Movie that Somehow Made Wolves Seem Boring:The Grey. I expected The Grey to be about Liam Neeson killing tons of wolves. Instead, it was more like sub-par Gary Paulsen fan-fiction. Come on -- seriously?! If I wanted to watch a movie about animals not dying, I'd watch Babe. La la laaaa! 3rd Place: Those cyber dogs from The Hunger Games. What were they, drawn on iPads? Were they Kid Pix dogs? How did they actually hurt people?! Someone please explain. 2nd Place: The Avengers. WHY ON EARTH DID THEY LET MARK RUFFALO ON TO THE SPECIAL SPACESHIP PLANE WHEN THEY FREAKING KNEWHE WAS GONNA HULK OUT AT SOME POINT? DID NO ONE THINK THAT THROUGH??? Look at that thing! It could orbit Earth! 1st Place:Argo. What was with those goofy Iranian airport workers who fastpassed the American hostages through customs simply because they loved Hollywood so much? If I'd been in their shoes, I would have noticed the size of Ben Affleck's movie star head and immediately detained him. The Field of Dreams Award for Father-Son Moment that Made me Cry: the last ten minutes of Men in Black III. No, I was not expecting to cry at Men in Black III. Yes, it was embarrassing. Yes, it was still less embarrassing than the time my dad cried at Miss Congeniality 2: Armed and Fabulous. The Terms of Endearment Award for Mother-Daughter Moment that Made me Cry: the end of Brave. The Best Movie to See With Your Dad Award: The Expendables 2. I think my and my dad's testosterone levels were at approximately "YAHHHHH!" when we saw this movie. 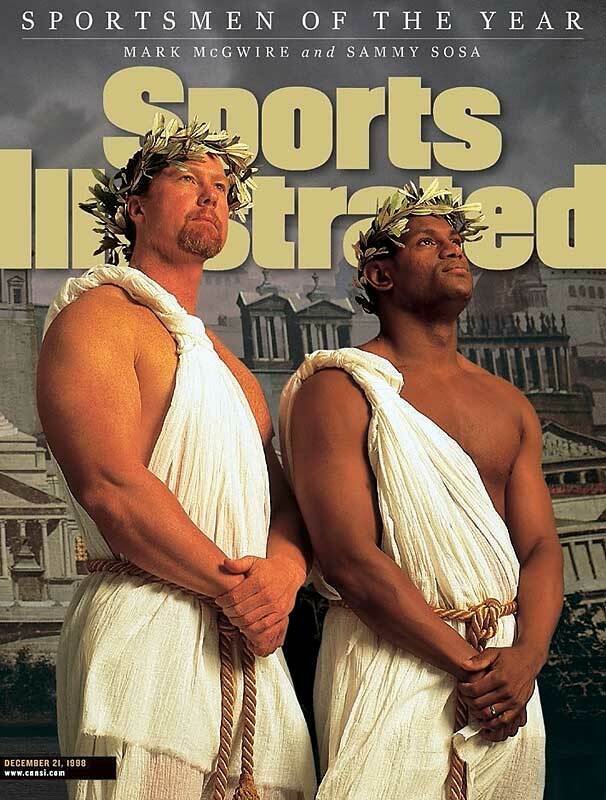 When Bruce Willis and Ah-nold joined Sly Stallone for the final shootout verus Jean-Claude van Damme, my pops and I might as well have been late '90s Mark McGwire and Sammy Sosa. We were that jacked on MAN JUICE. This is actually just a picture of me and my mom on the way to the movie. The Best Movie to See With Your Mom Award: The Guilt Trip. I know this movie got panned by the critics, but that's only because none of the reviewers saw the film with their moms. If A.O. 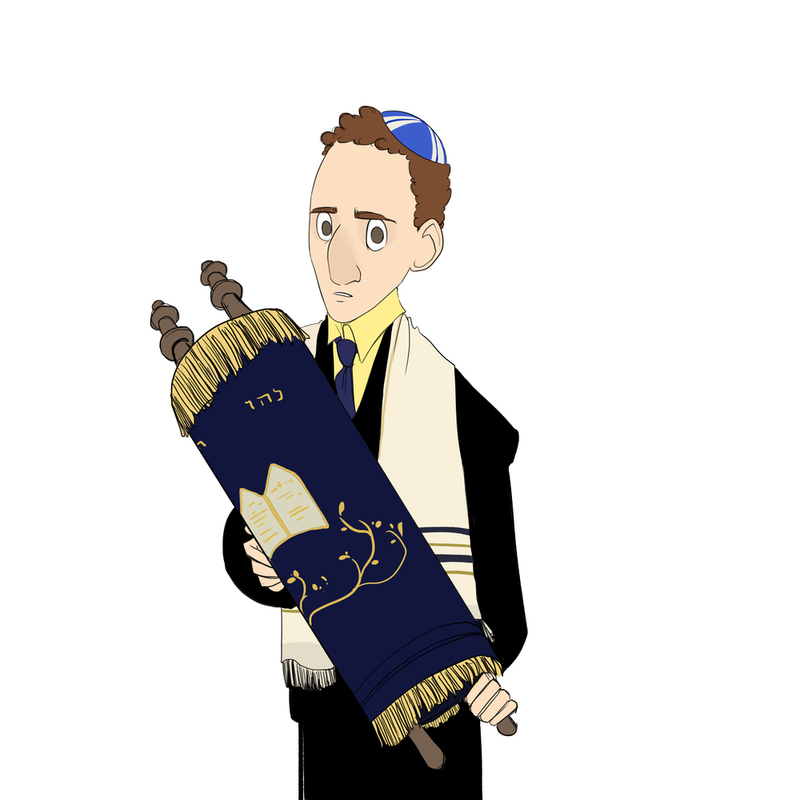 Scott had gone to The Guilt Trip with his Jewish mom, then, well, he'd be a much happier man today. And while we're at it, let's do a couple more family awards. The Movie that my Little Sister Saw Three Times Award: Rock of Ages. Seriously! And the CD was the number one item on her Christmas list! And seriously! They actually made a Rock of Ages CD! This is my 5th favorite Tom Hanks. The Movie that my Mom Saw Three Times Award: Cloud Atlas. SERIOUSLY. MY MOM SAW CLOUD ATLAS THREE TIMES. THAT'S TWENTY-ONE DIFFERENT TOM HANKSES. 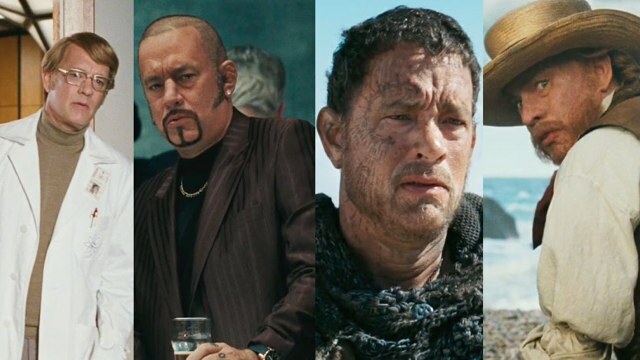 The Tom Hanks Award for Best Tom Hanks: Evil Racist Dentist Tom Hanks (in a narrow victory over Murderous Bestselling Author Tom Hanks and Futuristic Speech Impediment Tom Hanks). 3rd Place: Jonah Hill, 21 Jump Street, "I've Gotta Crow." 2nd Place: The cathedral accordion scene from the engrossing/insane French movie Holy Motors. 1st Place: That scene at the end of Zero Dark Thirty where they kill Osama bin Laden and the entire cast breaks out into an impromptu rendition of "Walking on Sunshine." 3rd Place: Jiro Dreams of Sushi.This movie is basically, "How to become the world's greatest sushi chef and also arguably a terrible father." It's captivating. 2nd Place: Indie Game. When it comes to tortured artists, starving poets and unproduced screenwriters have nothing on independent video game designers. And yes, I also cried at the end of this movie. In fairness, it's because characters I'd grown to care about were suddenly showered with fame and riches. That's an okay reason to cry. 1st Place: Make Believe. Technically this movie came out in 2010 and not 2012, but that's okay because I didn't see it until this year and also because no one else has seen it yet. It's the best. INTERNATIONAL TEEN MAGICIANS BATTLE IT OUT IN VEGAS. IT'S WORLD WAR II EXCEPT WITH TEENS AND MAGIC AND VEGAS. The Ronald Reagan and a Chimpanzee Award for Worst Chemistry: Kristen Stewart and her director, Snow White and the Huntsman. 3rd Place: All of the gratuitious vomit scenes in Pitch Perfect. 2nd Place: The "baby machine" scene from Prometheus (gets extra points because it drove my mom out of the theater!). 1st Place: TIE! Anne Hathaway's gross mucus-y face (Les Mis) and Hugh Jackman singing a sad song while swimming around in a river of poo (also Les Mis). At the end of Les Mis, when we see the Heaven version of Anne Hathaway singing the final song, since she still has short hair from her lady of the night days...well then, shouldn't Angel Anne Hathaway also be toothless? 2nd Place: The thirty minute-long "I know a lot of random football scores! Hey! Let's win Robert De Niro a lot of money by having a big football bet! Hey! Let's combine it with the dance contest! Hey! Let's have a parlaaaay!" scene from Silver Linings Playbook. 1st Place: When Quentin Tarantino hit the 2 hour, 20 minute mark of Django Unchained, did he think to himself, "Hey, what this movie really needs...is twenty minutes of me...and my horrendous Australian accent!" He did think that, didn't he? That's exactly what he thought. What? Was I supposed to pick a different movie? TIE - Lincoln and This is Forty. These movies had a lot of talking. All of the dwarves gathering around the table and singing the Jewish prayer for wine. "Baruch Attah Adonai..."
2nd Place: All of the songs from Searching for Sugar Man. 1st Place: "12 Days of Christmas Remix," ABC Family's The Mistle-Tones. Sorry, everyone else. Greatness is greatness. All right, enough lighthearted fun. I think it's time to get to the big boy awards. TIE - Seven Psychopaths and A Cabin in the Woods. So I like genre bending! So what? Scott Speer, Step Up: Revolution. So my favorite genre of movie is "community of dancers has to save a beloved institution of theirs from being destroyed through the power of dance"! So what?! SO THE FUNK WHAT?! 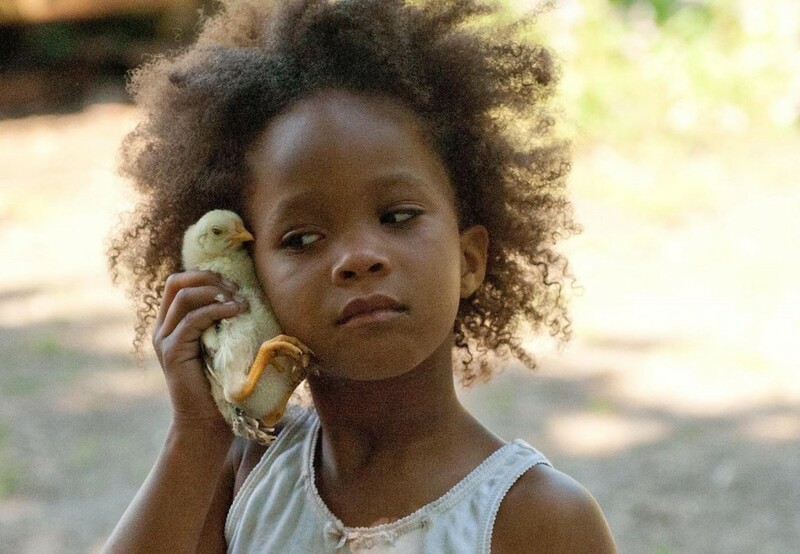 Six year-old Quvenzhané Wallis, Beasts of the Southern Wild. I don't care that she wasn't "acting acting." I don't care that instead of internalizing her motivations and coming up with a backstory for herself or whatever, the director probably got her performance out of her by being like, "Hey, I'll let you have pudding if you're good." I don't care, I don't care, I don't care. All I know is that she made me cry like five times throughout the movie. And if I've established anything in this blog post, it's that...I cry easily. All right. Moving on! The CGI tiger that played Richard Parker, Life of Pi. If we're basing our votes off of, "Entity that didn't really know what it was doing and that also made Teddy Steinkellner cry a lot," then the vote here clearly has to go to the animated tiger from Life of Pi. Thanks for playing, Daniel Day-Lewis. Next time, maybe HAVE STRIPES AND PAWS, OKAY? ...You know what? I wouldn't put it past him. All right, here we are! Let's finish this lengthy, bloated, self-congratulatory awards show. My nominees:Moonrise Kingdom, End of Watch, The Titanic 3-D Re-Release (Yes, I consider this eligible, again according to the requirement of, "Did I cry? "), Seven Psychopaths, Cloud Atlas (shut up, shut up, stop laughing at me, shut up), Wreck-It Ralph, Argo, Skyfall, Silver Linings Playbook, Searching for Sugar Man, Holy Motors, Life of Pi. All right, you got me, I just picked the movie with thousands of meerkats. I'm as shocked as you are, but I loved, loved, loooved this movie. I saw it twice in theaters in three days, which I don't think I've done since, like, Osmosis Jones. Hollywood, just remember this formula when you're making movies to cater to me next year -- I like beauty. I like wild animals. I like crying. I like crying. I like crying.